At Frankford Dental Care, we can provide you with dental implant surgery to replace your missing tooth. Even with the improvements of oral health care, the majority of adults still lose at least one tooth during their lifetime. Whether this is due to old age, an accident, or gum disease, we have the most durable solution for replacing your teeth. This is the only procedure that replaces both your lost root and tooth, since dentures and dental bridges only replace the visible portion of your tooth. In order to place implants, we must conduct dental implant surgery. During the surgery, we will insert a titanium post under the gums and secure it to the jawbone. The bone and metal will fuse together through the process of osseointegration, creating a durable root system to attach your new tooth (crown). 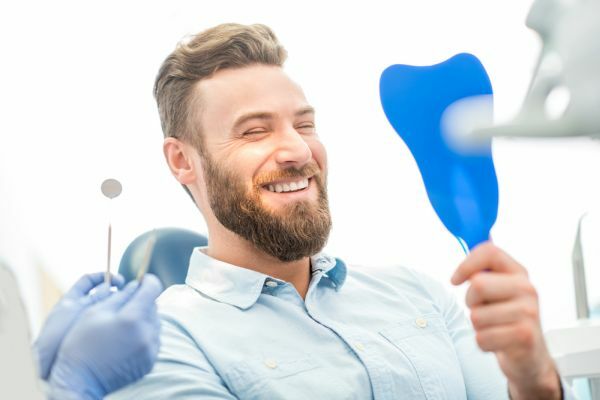 If you are considering this procedure, we encourage you to call (215) 302-1746 to schedule a consultation with our Philadelphia dental office. 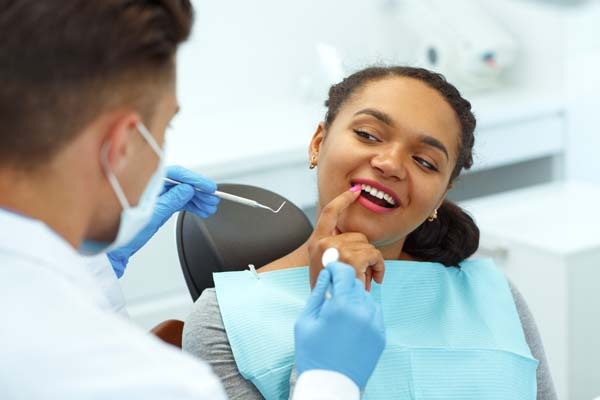 On the day you visit our Pennsylvania dental office for surgery, you will be given anesthesia so you will not feel anything while we place the implant. The procedure itself can take anywhere from 30 minutes for a single implant to several hours. If you are replacing multiple teeth with implants, we will let you know how long the process will take and whether or not it will take two appointments. Since dental implant surgery is an invasive process, you can expect to have some swelling and sensitivity after the fact. While perfectly natural, you must take good care of your mouth in order to prevent an infection or unnecessary irritation. We suggest taking ibuprofen to decrease swelling and manage discomfort. You can also use an icepack or cold compress for 15 minutes at a time. At Frankford Dental Care, we generally recommend taking a couple of days off work while you are recovering. After two to five days, you will feel normal again; though your gums may remain slightly sensitive for a little longer. Check out what others are saying about our dental implant surgery services on Yelp: Dental Implant Surgery Philadelphia. Here are a few questions we are regularly asked in our 19114 dental office. We recommend you eat foods that are soft and easy to chew or that require no chewing at all. A perfect example would be yogurt, warm soup, ice cream, smoothies, and steamed vegetables. Pablo E. Sotelo D.M.D can provide you with a more detailed list during a consultation. Also be sure to avoid foods that are difficult to chew, like steak, or things that are sharp, like tortilla chips, since they can further irritate your gum tissue. When you visit our 19114 dental office, we will discuss pain management with you. We will give you anesthesia during the actual procedure so you can relax and feel comfortable during the entire process. Afterward, you can take over-the-counter medication to manage your pain. By following the directions, you will remain fairly comfortable. The key is to stay ahead of your discomfort, so if the bottle says that you can take two pills every four hours – take them every four hours. As long as you do so, you will be able to go through your day without any severe discomfort. When you come in for a consultation, Pablo E. Sotelo D.M.D can provide you with a good idea of when we can attach your new tooth. For the most part, we wait until the process of osseointegration takes place and the titanium post integrates into the jawbone. This provides the most durable base to attach your new crown to. Typically, this process can take anywhere from three to six months to complete. However, there are other options we can explore if you are on a tight timeframe. To ensure your smile is intact while you wait, we can provide you with a temporary denture to wear. We will attach the denture using wires, similar to a retainer. You can remove the denture whenever you want to. This way, your smile will appear intact until we are ready to secure your new tooth (crown) in place. We will schedule you for a follow up visit to inspect your implant and give you a better idea of how the healing process is going at that time. Yes, at Frankford Dental Care, we place implants on a regular basis. Patients who are tired of wearing removable dentures and want something more permanent can benefit from dental implants. Since dentures can easily slip out of place, switching to implants can make it easier to eat, speak, and engage in normal daily activities. If you have worn dentures for some time, you may be suffering from resorption. If this is the case, your jawbone may not have sufficient density to support an implant. When this happens, we may recommend a bone graft prior to beginning. To discuss this further, call 215-302-1746 and schedule an examination. After physically examining your teeth and taking X-rays, we can create a full treatment plan for you. Before you can begin, we need to examine you and take X-rays to determine the density of your jawbone. This appointment will be non-invasive and comfortable. We can present you with all of the options available to you and discuss the ins and outs of each treatment solution. This will allow you to ask questions and select the option that is best for you. 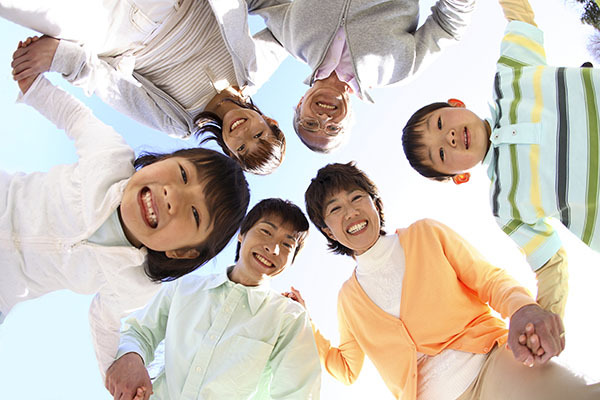 To begin, call our Philadelphia dental office at (215) 302-1746.